HOW ARE SURETY BOND RATES DETERMINED? Construction bonds are an integral part of any project owner or contractor’s risk management program. For most projects, the cost of a surety bond is a standard line item in the construction cost estimate. Premiums for construction bonds are calculated as a percentage of the bond value, and usually quoted in dollars per thousand: Bond Amount X Rate/1,000. Percentages are typically tiered given the size of the bond and average in the .7 – 2.5% range but can go as high as 3% or more, depending on a variety of factors. So what affects the rate quoted for a construction bond? The short answer is risk. As a non-traditional insurance product, similar to lending, surety bonds are underwritten. Surety underwriters consider risk factors associated with the bond and with the applicant. The higher the cumulative risk, the higher the rate on the construction bond. A good surety producer can assist with the process to ensure that the contractor is getting the appropriate construction bond at the best rate available. Type of bond – The most common premium generating construction bonds are performance and payment bonds. There is no premium for Bid Bonds. These bonds, typically issued as a package to protect the obligee/owner of a project, are based on contractor resources, experience and ability to meet the contract requirements. Amount of bond – A larger bond may carry a lower average blended rate depending on the underlying financial strength of the contractor. Class of business – There are some specific trades that are viewed as less risk, hence a more favorable premium rate structure due to loss experience. Common examples are paving and roofing contractors. Size of bonded principal and operation – A small construction company that uses surety bonding less often may pay a higher rate than a large contractor with an established bond history. Other project considerations – Design/Build projects tend to carry a higher rate. There may also be a surcharge for projects with extended durations and/or warranties exceeding one year. An applicant’s financial strength is the greatest part of the underwriting process when determining risk, and therefore rate. Along with the company or corporate entity, any principal or owner of a construction company with a stake in the operation greater than 10% will be evaluated for personal financial strength. 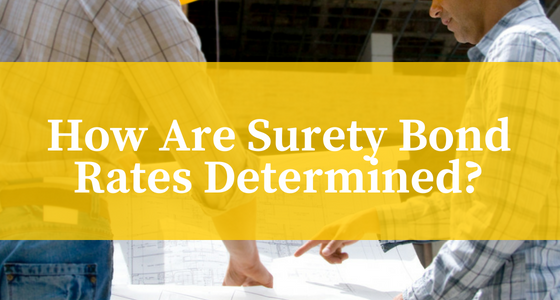 In order of importance, these risk factors largely determine the rate quoted on a surety bond. Personal credit – Credit history for an owner or owners of a construction firm is a key underwriting consideration for most construction bonds. A good personal credit score indicates strong character, good financial management practices and sureties like that. Contractors with good to excellent credit are generally rewarded with rates under 2%-2.5%, while those with poorer credit scores may see bond rates run closer to the 3% level. For smaller bonds, generally under $500,000, personal credit may be the only financial performance indicator evaluated. Business Financial Statements – Statements prepared by a CPA familiar with construction accounting practices are viewed more favorably. Especially for larger surety bonds, expect to receive requests for company balance sheets, P&L statements and income statements over one or more accounting cycles. When it comes to the financial strength of a construction business, cash is king. So underwriters will look carefully at things like cash flow statements, WIP schedules, corporate equity, cash on hand and bank line availability to determine if the construction company has the financial ability to perform. Personal Financial Statements – Similarly, a contractor’s personal net worth is also a factor in determining risk. While underwriters do not always require this, the ability to demonstrate a positive personal net worth with liquidity may be a consideration for acquiring a good rate on larger bonds. In such a case, expect to receive requests from underwriters for proof of personal cash/security account balances. Industry Experience – Contractor or construction company owner and key personnel resumes that demonstrate long-standing success in a market are a plus. Reputation, particularly in the age of instant digital information, can also play a part in determining surety bond rates. Professional history, bios and production stats posted on sites such as LinkedIn, or social media entries across a variety of platforms, may be reviewed. For suggestions on ways to improve your bond underwriting risk factors and obtain the best rates available, contact the professionals at Alter Surety Group at (305) 517-3803 or visit www.altersurety.com. 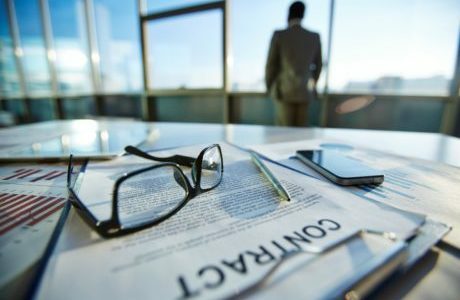 What defines the completion of a contract for the purposes of legal action? 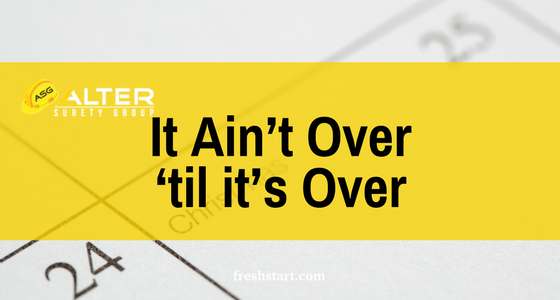 Effective July 1, contractors have a better idea of when a contract is finished due to a recent change to Florida law. In June of this year, Governor Scott signed House Bill 377, which amended the statute that deals with limits for filing lawsuits related to defects in design or construction on real estate improvements. For actual flaws in design or construction, the statute of limitations is four years. For latent defects — those that are not immediately discoverable — the statute of repose is 10 years. If you’re involved with Federal construction projects and government set-aside programs like SDVOSB, know that your bonding company may ask a few more questions. 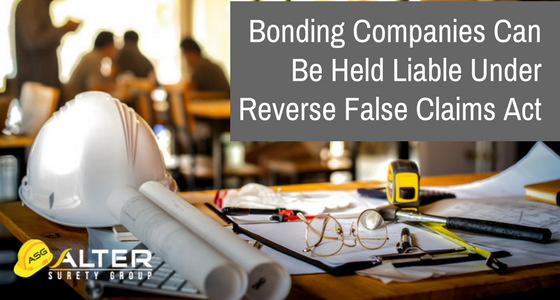 On July 31, 2017, the U.S. District Court for the District of Columbia issued a ruling in a reverse False Claims Act case that says bonding companies can be held liable for treble damages if they issue surety bonds to companies that try to defraud the government by falsely claiming to be a Service-Disabled Veteran-Owned Small Business (SDVOSB). The Veterans Benefits Act of 2003 established a procurement program that allows federal contracts to restrict bid competition and award these set-aside contracts exclusively to small businesses that meet specific criteria, as in the case of SDVOSBs. Given that the government has exceeded its Federal contract goals for SDVOSBs four years in a row with $13.8 billion in small business contracts awarded, it’s easy to see why some contractors might be tempted to falsify their SDVOSB or other small business program status to get a piece of the action. Construction growth continues to be strong in 2017 in most sectors. This growth is spurring the expansion of surety programs for healthy contractors who want to take on larger projects. One critical component in the surety – contractor relationship is the need for service specialists who know the construction industry. This includes CPAs and attorneys.